Wilderness programs are usually short term. They seem to have a definite impact on the teen. Typically the teen while in the program sincerely feels the need to change and may even admit that he or she needs to change their behaviors. In most cases education consultants will recommend a wilderness to prepare a teen for a long term placement. Usually the wilderness placement alone is not long enough to make lasting changes in the teens life. Again short term is a great place to start but usually needs to be followed up by something longer in length. 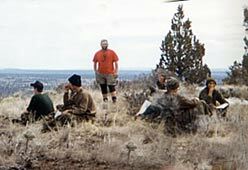 Some programs include a wilderness component into their regular program. Some have more rustic type living for teens that first come into a program, and then with appropriate choices they move into nicer living conditions. 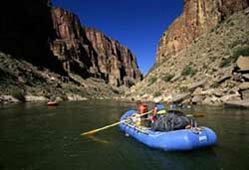 Wilderness programs are usually not academically accredited, because of their short duration. There are usually some credits available that would correspond to time in spent out in nature, but it is not a given that they will be accepted. For this reason timing is an important factor involved with this type of placement. If you are taking a teen out of school and sending them to a Wilderness Program, they will fall further behind in school. 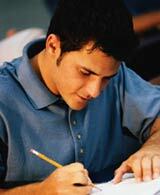 In most cases the teen is not applying themselves in school anyway so this is not a huge factor. But in the case where the teen is still doing well in school, this should be taken into consideration. If academics are still important to them and you put them in an impossible to catch up situation, you will have to deal with other issues. They can include lowering of self esteem for being held back or just failing classes, and the teen having to explain where they have been upon their return to school. While some teens will find it cool to having been taken away for a while, there are others that will be embarrassed for having to explain their absence. Other considerations of Wilderness Programs are the elements themselves, and the ability of teens to run away. While the majority of programs have things well planned out there have been cases where teens have been able to overpower staff, and run from their camping spot. This is less likely to happen in a set location. The elements of course there is now way to plan on how they will cooperate. There is always the danger of extreme weather conditions, and the problems encompassed therein. On the other hand Wilderness Programs have had a place in overall plan for years, and there are definite benefits from having a teen get back to basics in this way. As you know there is something to be said about being out in nature. There is a tendency in this setting to have more quiet time to reflect on what is really important, and what course they are on. Quiet time around the campfire at night is almost a spiritual experience and a great time for teaching a tired youth.